Cher 2012 Official সঙ্গীতানুষ্ঠান Tour Poster. 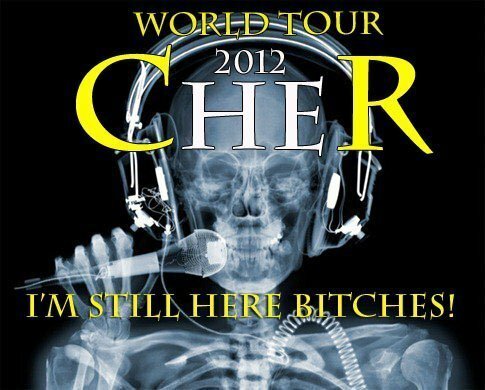 Cher 2012 সঙ্গীতানুষ্ঠান Tour.. Wallpaper and background images in the Cher club tagged: cher concert tour poster. For information on the poster please contact me. Please contact DJBillBennett.com who is actually the designer and creator and concept developer of the poster. omg!im turninq 14 and she is my idol i have been listeninq to her since iwas 2 ijst love that chick!